Charlotte, NC — Tournament officials announced today the commitment from one of golf’s greatest players, Phil Mickelson , for the Wells Fargo Championship, scheduled for April 29-May 5 at Quail Hollow Club in Charlotte, North Carolina. AVONDALE, La. – Adam Scott and Jason Day are partners at this week’s Zurich Classic of New Orleans. They hope it’s not the last time they’ll be together this year. Scott was adamant Tuesday that he and Day should be partners again the second week of December when the Presidents Cup is held at Royal Melbourne. “I think we’re a hell of a team,” Scott said. “… I don’t care who else is on the team and what team we’re playing. I think who we play has to turn and take notice of us.” Scott and Day have each taken turns atop the world ranking, and they are the last two major winners from Australia. In 2013, their cumulative score won the World Cup for Australia. Yet in the last four Presidents Cups as teammates on the International Team, they’ve played just a single match together – in 2015 in Korea when they halved a Four-ball match against Phil Mickelson and Zach Johnson. “I’ve tried to push for it to happen more often, but they’re a lot of different opinions and things to happen,” Scott said. “You know, you have to play as a team member and do what’s best for the team, but I would definitely push for this pairing, certainly in Australia. 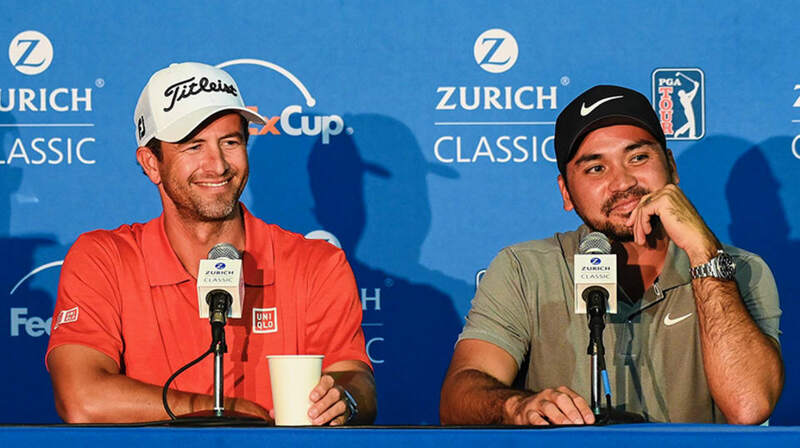 I think it’s very formidable.” Scott is making his first Zurich Classic appearance this week in part because of the potential Presidents Cup benefits that might be derived from the only annual FedExCup team event. International Captain Ernie Els is also playing with one of his assistants, Trevor Immelman. On Wednesday, Els was asked about the potential Scott-Day pairing. He called it an "obvious choice." "They could play together in December pretty easily," Els said. "Pretty solid pairing right there, so one of those days they could easily play together. "I mean, those two guys are on their game. They're two of the best players you'll ever see in the modern game." The end goal, of course, is to end the American’s streak of seven consecutive Presidents Cup wins. The International record is 1-10-1, and Scott has never played on a winning side. “I’ve sat through a lot of Presidents Cup beat-downs over the years, and I’ve kind of had enough of it,” Scott said. “So I’m prepared to do whatever it takes, whatever Ernie thinks it takes to kind of change the culture of our team.” Day – who partnered with Rickie Fowler here in 2017 (missed cut), then with Australian Ryan Ruffels last year (T-34) – was quick to accept Scott’s invitation to partner this week. 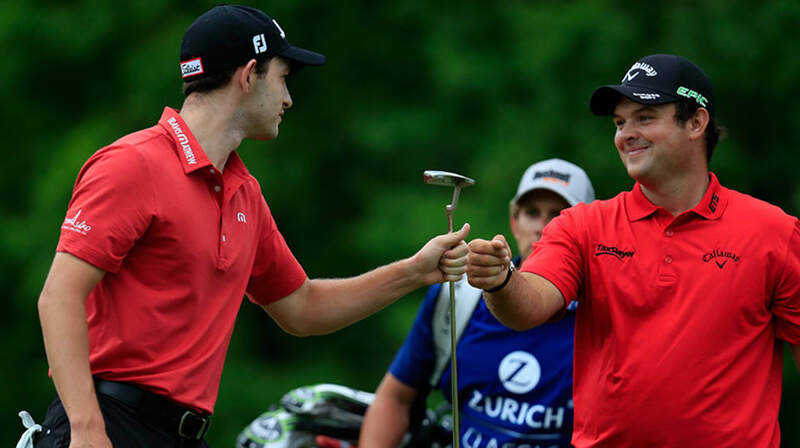 Joked Day: “I thought he was doing it because he liked me, but unfortunately we’re putting a bunch of teams together for the Presidents Cup, so that’s why we’re together.” Replied Scott: “I did that before they had the team stuff. I do like you, Jase.” Day, like Scott, would welcome the partnership at Royal Melbourne. “If me and Scottie play together the rest of the Presidents Cups that we play in, I’d be over the moon because I think it’s a good pairing,” Day said. “But I understand where the captains, where their heads are coming from, just because it’s a tough decision to make with regards to putting guys together.” Currently, only Day is inside the cutline in the International Team standings that will determine the automatic spots. The top eight after the 2019 TOUR Championship will get invites, with Els able to make four Captain’s Picks after that. Day is sixth in the standings while Scott is 11th. However, Scott’s knowledge of Royal Melbourne likely will guarantee his spot, regardless of his final standing. “I’ve probably played it as much as anyone on either of the team,” Scott said of the Presidents Cup host course. “… Whoever I’m playing with down there – this is me talking like I’m on the team – but I hopefully can help someone if they need it.” If the Day-Scott tandem have a big week in New Orleans ... well, that would all but guarantee things. "I would love to see how they score, how they perform this week," Els said, "and we'll take it from there." 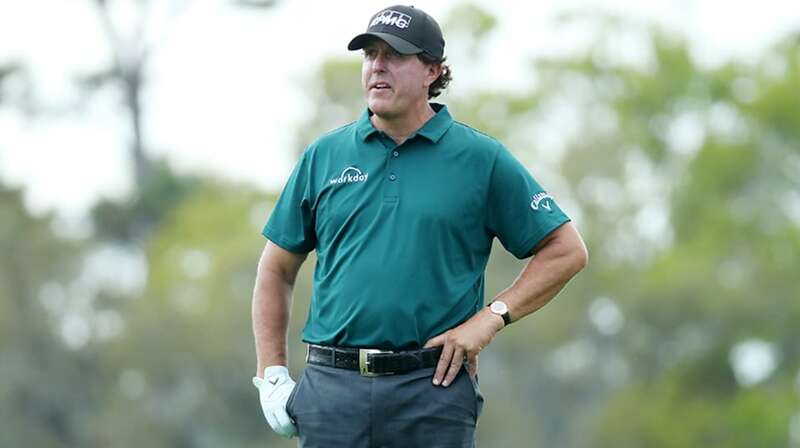 AUGUSTA, Ga. – Phil Mickelson birdied five of his last seven holes for a 67, and sits just a shot off the co-lead of Bryson DeChambeau and Brooks Koepka at the 83rd Masters Tournament. 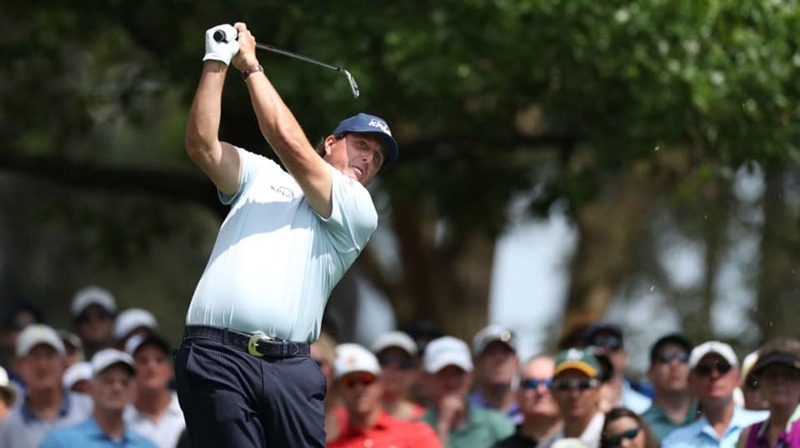 Prior to the 2019 Masters Tournament, Phil Mickelson discusses how having a recent win can give a golfer confidence heading into a big event like this week at Augusta National. 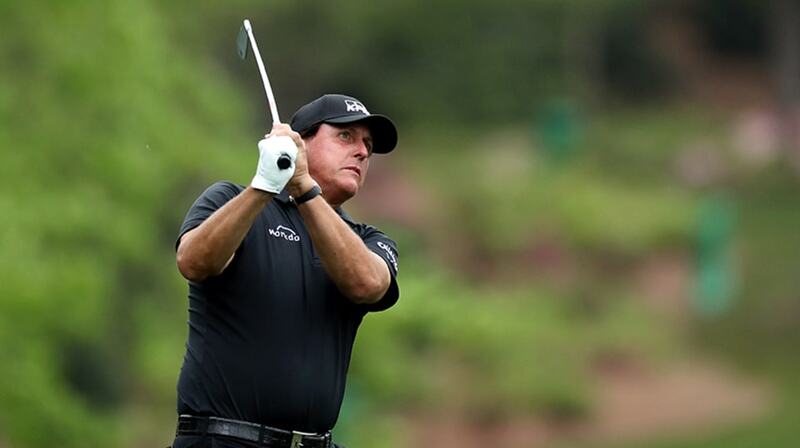 Before every round Phil Mickelson plays on the PGA TOUR, he goes through an extensive warm up routine, and we have an all-access look inside what Lefty is working on. It’s all about teamwork as players join forces to take on the 7,425-yard, par-72 TPC Louisiana. In the opening round of THE PLAYERS Championship 2017, Phil Mickelson carded 5 birdies and an eagle as he turned in a 2-under-par 70 scorecard in Round 1. In the second round of THE PLAYERS Championship 2017, Phil Mickelson started out hot with 3-under-par front nine, but struggled down the stretch to shoot and even-par round. In the opening round of the 2017 FedEx St. Jude Classic, Phil Mickelson began the day trading birdies with bogeys then makes 10 straight pars before finishing with a solid approach on No. 18 for birdie. In the second round of the 2017 FedEx St. Jude Classic, Phil Mickelson picked up steam with birdie after birdie but stalled out with a closing double bogey on the 9th hole.